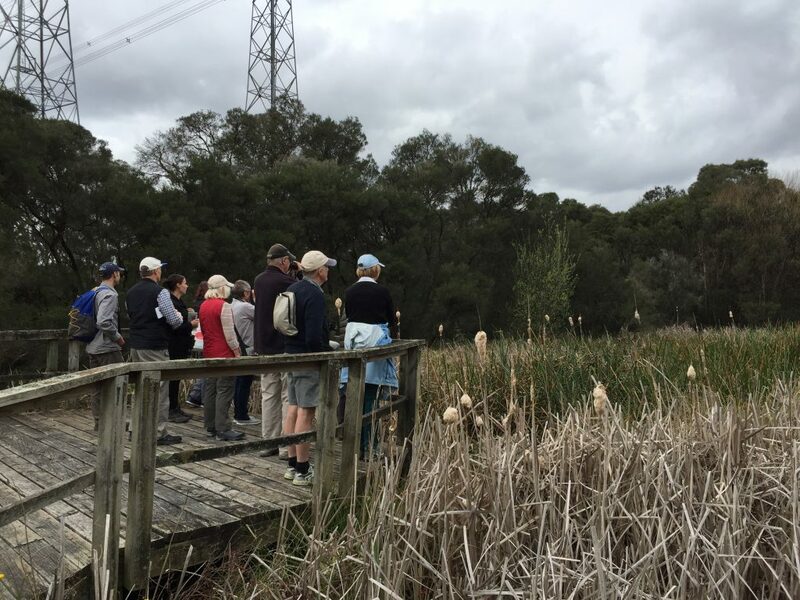 Dozens of budding bird-watchers took part in a series of Backyard Bird Discovery Walks at four sites along the Dandenong Creek corridor this week. 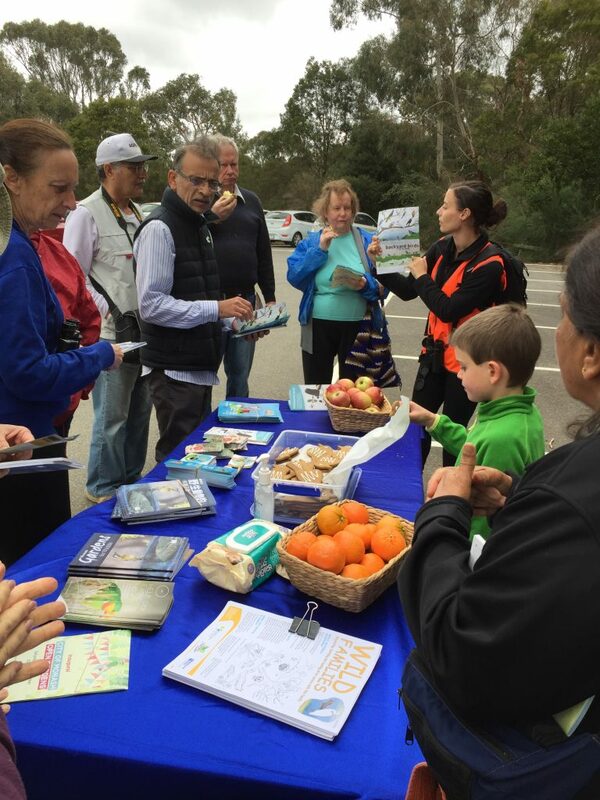 Experts from Birdlife Australia led the walks, revealing all sorts of interesting facts about each bird species we encountered. Being springtime, the birds appeared to be in in full swing of breeding activity, with many seen collecting nesting materials, sitting on nests, or fussing over new young. 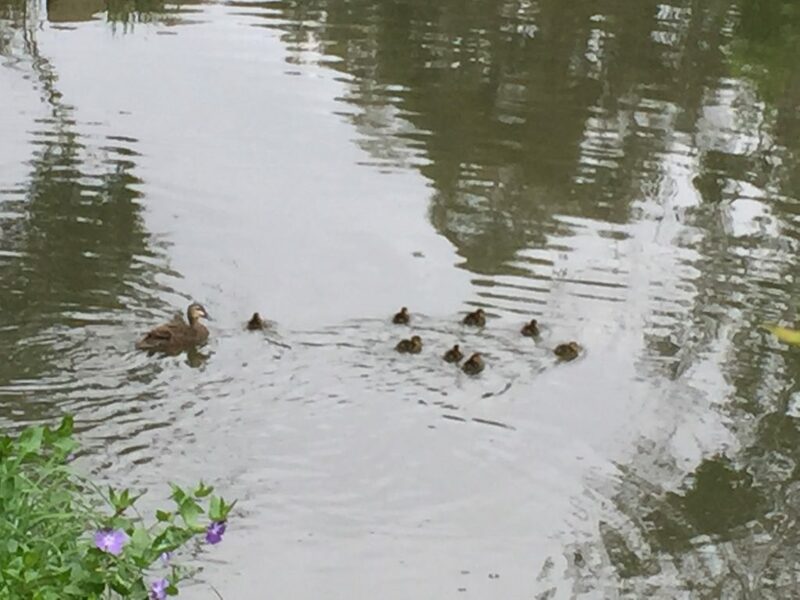 Highlights included spotting an extremely well-camouflaged Tawny Frogmouth sitting on a nest of eggs, two different species of ducks with clutches of fuzzy new ducklings and King Parrots circling at eye level. 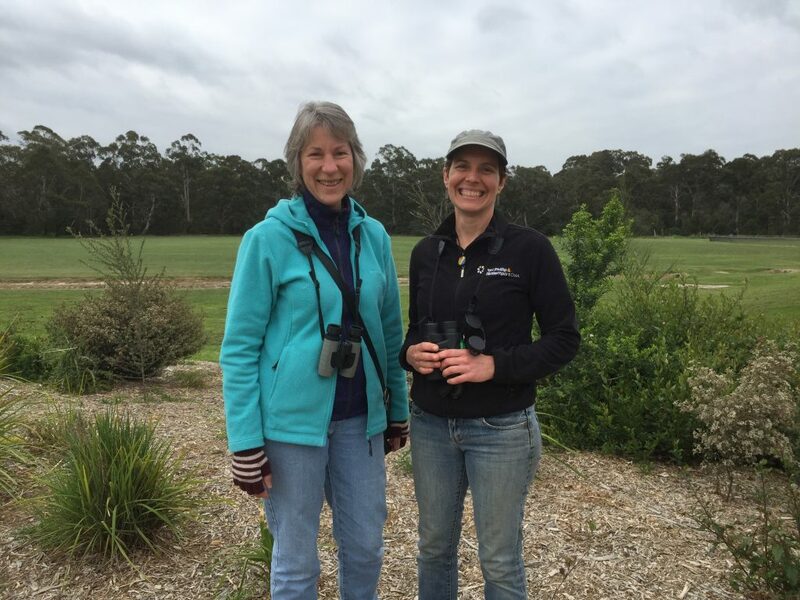 There was also plenty of discussion about what we can all do to help native birds – planting native thick shrubs and bushes (to provide habitat and protect from predators) and keeping cats indoors being some of the key tips. 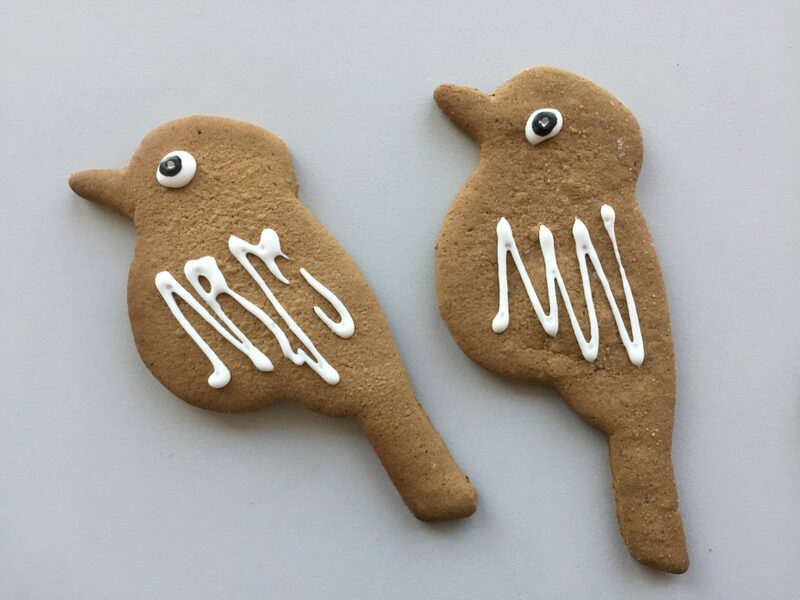 Each walk concluded with some well-earned morning or afternoon tea, consisting of kookaburra-shaped gingerbread. Finally, participants were urged to put their new skills into action during the Aussie Backyard Bird Count, which will run throughout National Bird Week, 22-28 October. 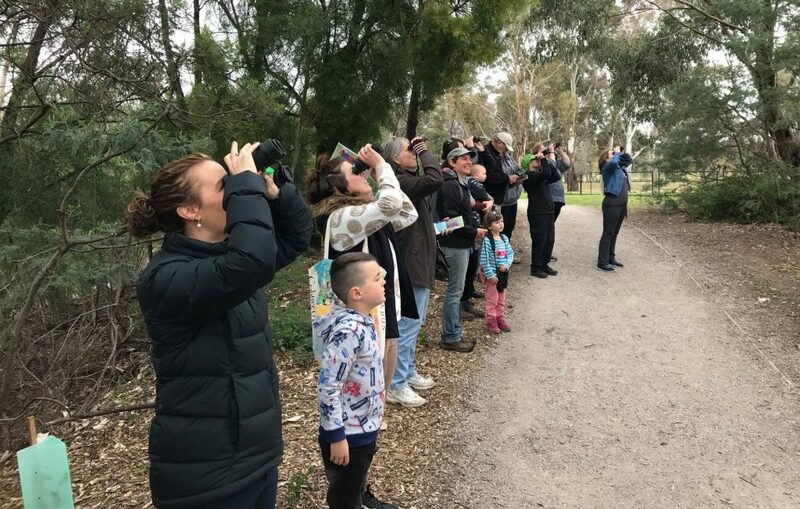 Anyone can take part – simply visit the Aussie Backyard Bird Count website to download the app. You don’t have to be a bird expert – the app helps you learn as you go! 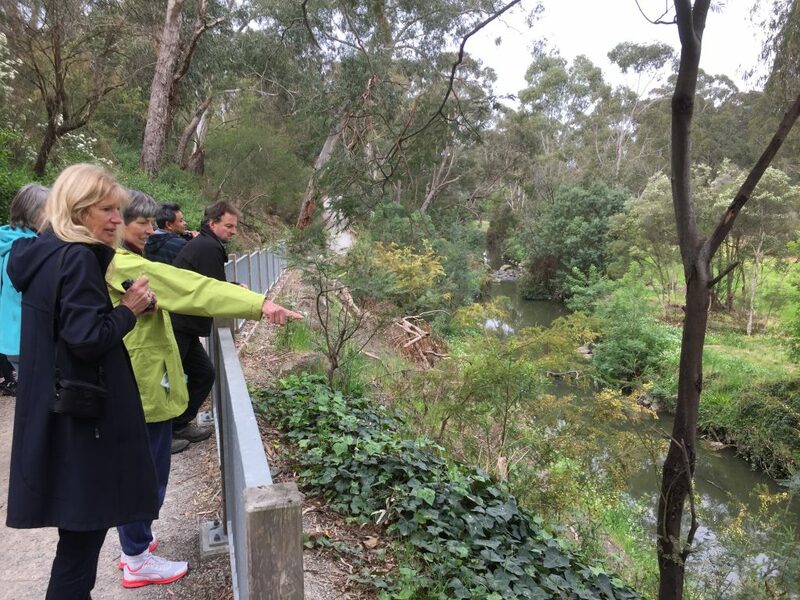 These events were held through Living Links as part of the $1 million ‘Transforming the Dandenong Creek corridor into a world-class urban Living Link’ project, funded through the Victorian Government’s statewide Our Catchments, Our Communities four year initiative. 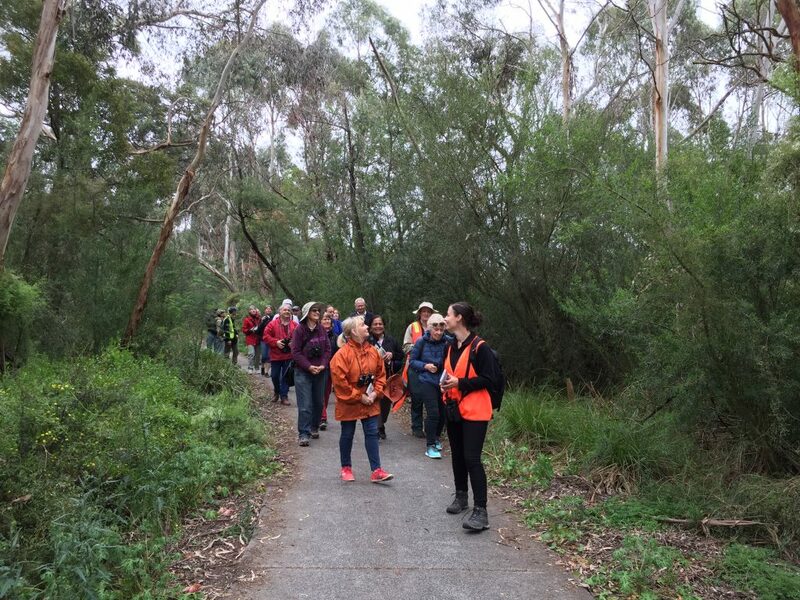 Special thanks to our partners – City of Maroondah, City of Knox, City of Monash, City of Greater Dandenong, Friends of Dandenong Valley Parklands, Greater Dandenong Environment Environment Group, First Friends of Dandenong Creek and Birdlife Australia.